Nippo-Vini Fnatini sport directors Stefano Giuliani and Mario Manzoni, together with Hiroshi Daimon, have chosen the 9 riders for the Giro d’Italia. 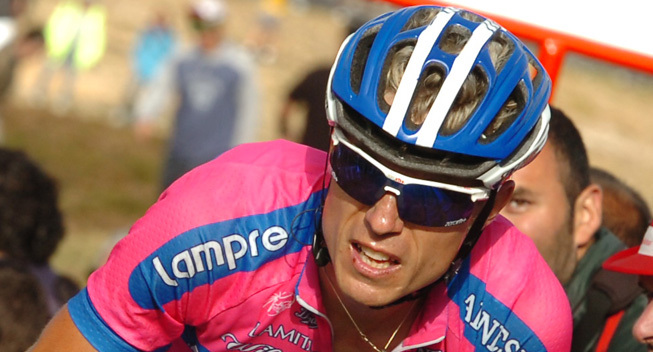 Damiano Cunego will be the team leader and will lead the team in the pink race. The 9 #OrangeBlue riders for the Giro are: Damiano Cunego, Daniele Colli, Pierpaolo De Negri, Alessandro Bisolti, Alessandro Malaguti, Eduard Grosu, Giacomo Berlato, Riccardo Stacchiotti and Manabu Ishibashi. General Manager Francesco Pelosi is at his sixth Giro d’Italia, but the first as General Manager: “It is a great emotion to be there, but first of all a great opportunity for the team. During the month of May the #OrangeBlue team will be involved both in the Giro d’Italia and the Tour of Japan. All riders of the team know the importance of these two events. This month will be the top of the season, from a sporting point of view and also in terms of marketing and visibility. The parallelism between such important races, in the same period, reinforces the cultural bridge between Italian and Japanese cycling."